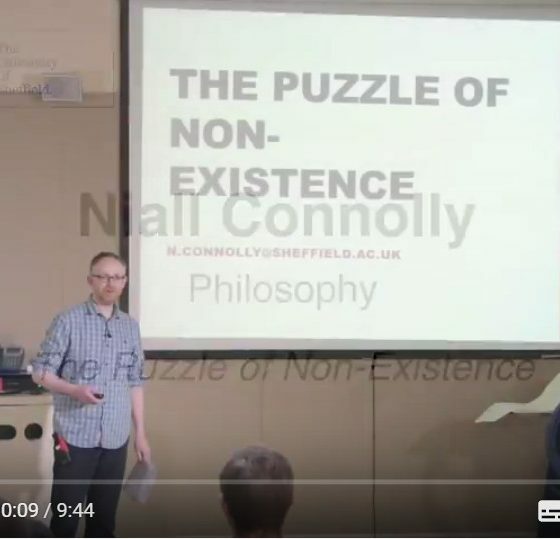 Niall Connolly | Metaphysics, Philosophy of Language, Philosophical Logic. 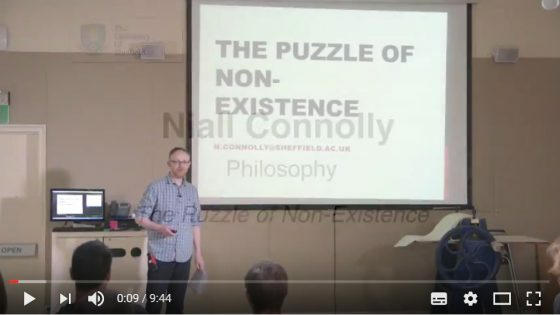 I teach philosophy at the University of Sheffield. 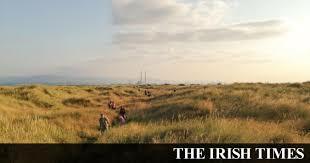 I have previously taught at Trinity College Dublin and University College Dublin. I got my PhD in philosophy from King’s College London. My research interests are chiefly in metaphysics, the philosophy of language and philosophical logic; though I am also interested in topics the philosophy of science and the history of early modern philosophy, ethics and metaethics. I have written on non-existence, time and change, truth, substances and their properties, and the semantics of names and indexicals. I am particularly interested in varieties of fictionalism and in passing off controversial alleged entities as bare particulars. Arts & Humanities 2017 Showcase Event at the Millennium Gallery, Sheffield. ‘I’m here now; but I won’t be here when you get this message.’ Dialectica Volume 71, number 4 (2017) 603-622. Keywords: Indexicals, Answering Machine Paradox, Make-believe. ‘Yes: Bare Particulars!’ Philosophical Studies Volume 172, Number 5 (2015) 1355-1370. Keywords: Bare Particular Theory, Bundle Theory, Ontology, Existence. ‘Tim Crane, The Objects of Thought.’ The Philosophical Quarterly (2014); doi:10.1093/pq/pqu018. ‘Truth as, at Most, One.’ International Journal of Philosophical Studies Volume 20, Number 1 (2012) 135-147. ‘How the Dead Live.’ Philosophia Volume 39, Issue 1 (2011) 83-103. Keywords: Presentism, Truth-bearers, Non-existence, Bare Particulars. ‘Christopher Belshaw, Annihilation, the Sense and Significance of Death.’ Journal of Value Enquiry vol. 44 no. 3 (2010) 407-411. ‘The Puzzle of Non-existence.’ The Richmond Journal of Philosophy, Issue 10 (2005) 32-39. 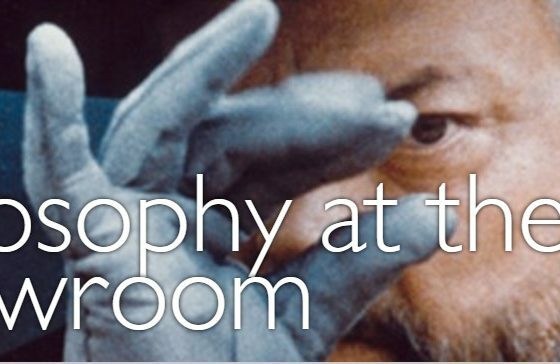 Oscail DCU Distance Learning Module: Philosophy 5 – Metaphysics. Metaphysics, Philosophy of Language, Philosophical Logic. Philosophy of Science, Philosophy of Mind, Ethics & Metaethics, History of Modern Philosophy, Aesthetics, Epistemology. M.Phil. Philosophy, Kings College London, 2000. Examined topics: The Philosophy of Gottlob Frege, Logic & Metaphysics, Philosophy of Language. BA, two subject moderatorship: Mathematics and Philosophy, Trinity College Dublin, 1997. Final grades: Philosophy I, Maths II.2. Awarded Wray Prize for best undergraduate thesis in Philosophy. Twice awarded John Isaac Beare Prize for best grade in philosophy cohort.